We never pass up an RPatz photo op and today we have one! 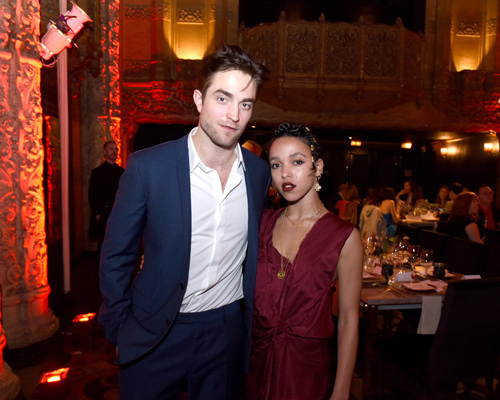 The duo of Robert Pattinson and FKA Twigs made a rare red carpet appearance in Los Angeles on Saturday and they looked amazing. 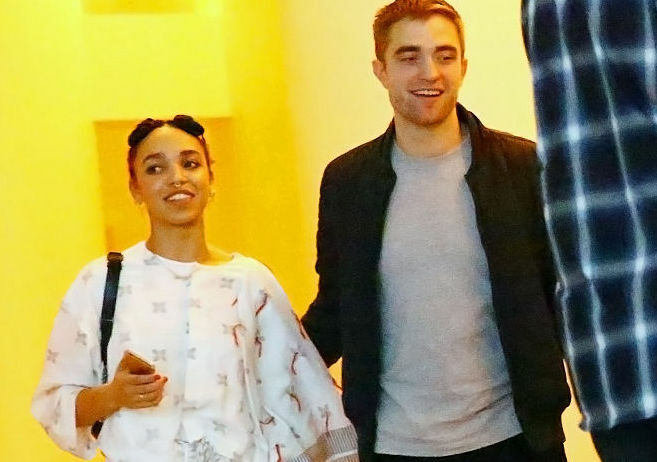 Over the weekend Pattinson and his fiancée, FKA Twigs stunned everyone when they arrived at the Ace Hotel for the annual LA Dance Project Gala. The couple has been engaged since 2014, but have yet to tie the knot and their public appearances are few and far between. When they did pose on the carpet together, they looked perfectly in sync and pretty show-stopping. 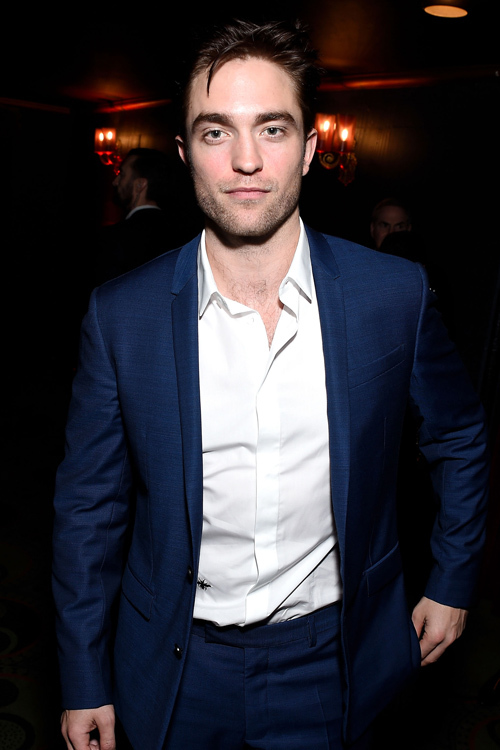 The Twilight actor rocked a blue suit and looked very handsome with a semi-wild hair look. The singer on the other hand, wore a burgundy dress and gold accessories, which really popped against Pattinson’s navy ensemble. FKA Twigs lip color was a perfect match for her frock and the ideal color for the holiday season. Together the couple, which has been keeping a low profile for the past seven months enjoyed their night out on the town. They posed for numerous pictures together, including a few inside the event and looked equally as dashing in each one. 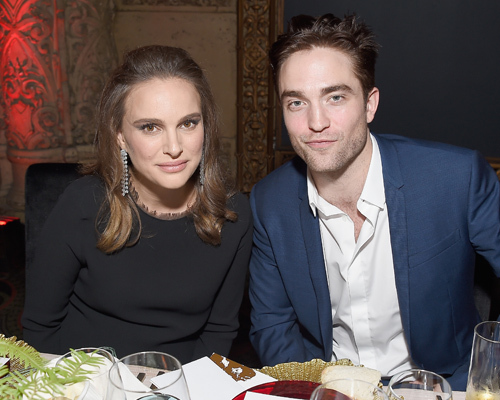 Pattinson, who is about to appear in both Damsel and Good Time even spent some time with other stars like Natalie Portman. The two actors were seen sitting next to one another at the gala and all we can say is, how do we get assigned to that table? 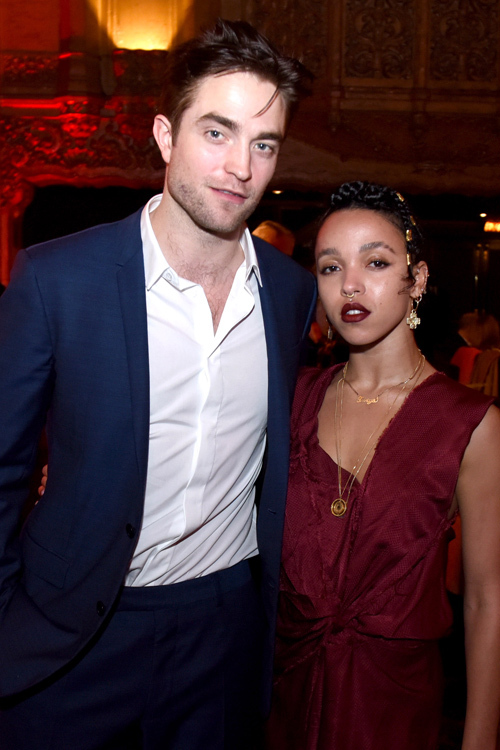 What do you think about Pattinson and FKA Twigs latest appearance?